IDC was in Budapest, Hungary, in late January, to attend the closing workshop of the STRENGTH project and to join their expert panel discussion. The project, Supporting Torture Survivors: Rehabilitation and Empowerment – a Need and Goal for Treatment and Help (STRENGTH) aims to ensure victims of torture who seek international protection in Hungary and Bulgaria have access to high-quality, effective and sustainable treatment, care and support services. Co-ordinated by the Cordelia Foundation in Hungary, our members Hungarian Helsinki Committee and Foundation for Access to Rights (FAR) in Bulgaria were involved in the project, as well as Assistance Centre for Torture Survivors (ACET) in Bulgaria. The lack of systematic identification mechanisms in both countries which leads to the frequent detention of torture victims and other traumatised asylum seekers. This makes existing legal safeguards ineffective. Numerous factors that lead to re-traumatisation in detention, such as the lack of proper understandable information; no access to interpretation in crucial situations; unnecessary limitations on the contact with the outside world and on internal freedom of movement. Prior to the expert panel discussion, Dr Lilla Hardi and Maria Barna of Cordelia Foundation and Gabor Gyulai of Hungarian Helsinki Committee delivered informative presentations that complement the project’s findings. In his presentation, Gabor made a pertinent point about the commonalities that run though Hungary and Bulgaria: both are at the frontline of the current migration pathway, share restrictive detention policies, systematically committed to the use of detention and problematic identification of individuals in detention who are in conditions of vulnerability and lack of adequate support to them. Following introduction of drastically restrictive asylum law and practices over summer of 2015, more asylum seekers (416) were in asylum detention centres than in open facilities (333) in Hungary, as of 17 December 2015. Hungary’s three asylum detention centres (distinct from immigration detention centres) can hold up to 460 people, and there appears to be a plan to expand. Bulgaria, similarly, has seen an increase in the number of people entering immigration detention, from 2,047 in 2012 to 6,303 in 2013 (these numbers include those seeking asylum as well those in other immigration situations) although we do not know the latest statistics as the Bulgarian authorities do not publish detention statistics. Current detention capacity is around 700 places. In fact, similarly worrying trends are found in an increasing number of European countries whose detention practices have turned for the worse, after some years of relatively little change or even improvement. These changes are taking place in the context of a migration “crisis”, which has seen over one million people, including many from conflict-ridden countries such as Syria, Iraq and Afghanistan, arriving in Europe in 2015. Although 1 million people is insignificant in comparison to the total population of Europe of over 500 million people, Europe’s response to this has been characterised by panic and fear. The repeated message from the EU that Member States must detain and must return those who are found to be not in need of international protection appears to be accepted with little challenge or scrutiny. The scale of the failure of the relocation scheme to alleviate the pressures faced by Greece and Italy is staggering: so far only 497 people out of the target of 160,000 have been relocated from Greece and Italy (as of 7 Feb 2016). While this foundational mechanism for Europe-wide responsibility sharing continues to stall, many civil society organisations and citizens in Europe, including IDC members, while facing many challenges, still continue to protect the human rights of refugees and migrants. The work of the STRENGTH project is one such example, and IDC was very honoured to contribute to the closing workshop. Importance of effective detention monitoring. The STRENGTH project’s methodology combined gathering data about detention conditions while also assisting individuals in detention, with a team composed of lawyers and torture rehabilitation specialists. Because of their multi-disciplinary approach, they were able to monitor whether victims of torture were detained and in what conditions and also challenge their detention where possible. 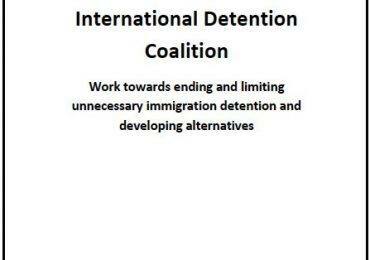 The project’s outcome demonstrates that monitoring not only promotes rights and dignity of individuals caught in immigration detention, but also identifies gaps in practice and presents constructive learning points for the detaining authorities. Governments face a huge challenge in developing effective screening tools to prevent detention of people in vulnerable situations, such as victims of torture. Our members often find vulnerable individuals in detention and struggle to secure their release, reflecting how the presumption of liberty is regularly not upheld. Judging by the reports we receive, Hungary and Bulgaria are certainly not alone in this. 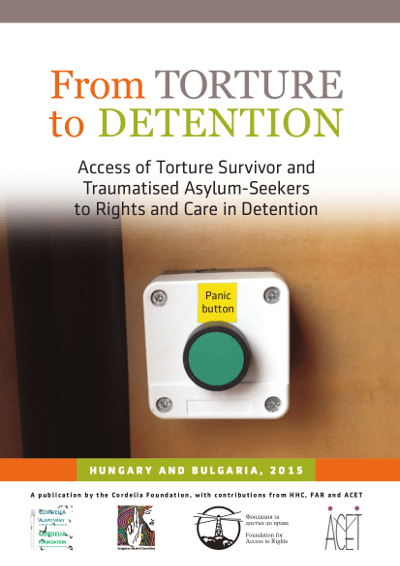 The STRENGTH project’s observation that in both countries ‘persons suffering from post-traumatic stress disorder, including primary torture victims, can be found in detention in the same proportion as in open facilities’ is a clear indication that, despite the recast Reception Conditions Directive, there is in practice no safeguard preventing detention of vulnerable individuals. 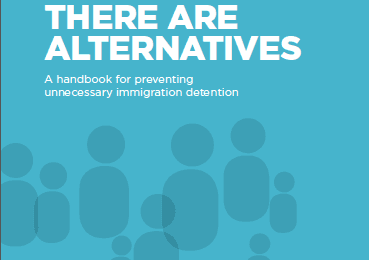 The vital importance of community-based alternatives to detention. By screening individuals’ vulnerabilities, the authorities should consider which placement option is most appropriate for them. Those in situations of vulnerabilities should be placed in a supportive and appropriate environment outside detention where they are able to access treatment and other services and are able to engage with the refugee or immigration determination process. The STRENGTH project shows the damaging impact of detention on victims of torture. The prison-like environment of detention can trigger re-traumatisation. Detention creates a barrier for individuals to access information and specialist care. Detention is not a place for them. We also had a number of interesting conversations with participants on the day. For example, several people independently raised the question of whether civil society organisations’ efforts to monitor places of immigration detention and improve detention conditions could unintentionally normalise the state practice of detention itself. Monitoring can potentially act as a “seal of approval” for the states, that their detention practice is acceptable. During the expert panel discussion, there was a lively debate over whether alternatives to detention can really “work” for transit populations in a country with poor reception and integration conditions. In the same context, a question was asked as to what extent regional harmonisation of reception and integration conditions can challenge the present binary of “destination” vs “transit” countries, with an impact on future migration patterns. We also noted the importance being sensitive to differences of needs and plans among people who are grouped together as “transit populations”. As the flow of people is expected to continue into Europe for the foreseeable future, so does the work of protection for the new arrivals, regardless of whether they have been granted secure immigration status or not. The situation on the ground is changing daily and we see more and more examples where the action of one state causes a chain reaction in another. These conditions make it more difficult for us to think of national solutions. There is no better time for civil society organisations across borders to explore short-term and long-term regional and sub-regional solutions that minimise the states’ use of detention.